Col. Radek offers a long-range option for cowardly strategic players who like to keep a healthy distance from the action. Packing an arsenal of firearms, Radek's best tool is a sniper rifle that can pick off enemies from across the map if he gets enough alone time to aim and charge up the shot. Sly Cooper was by far the most interesting character and played the most with the game's few truly distinct mechanics. To capture his stealthy style, his block button is replaced with an invisibility power that allows him to sneak up on enemies for a Sucker Punch surprise. 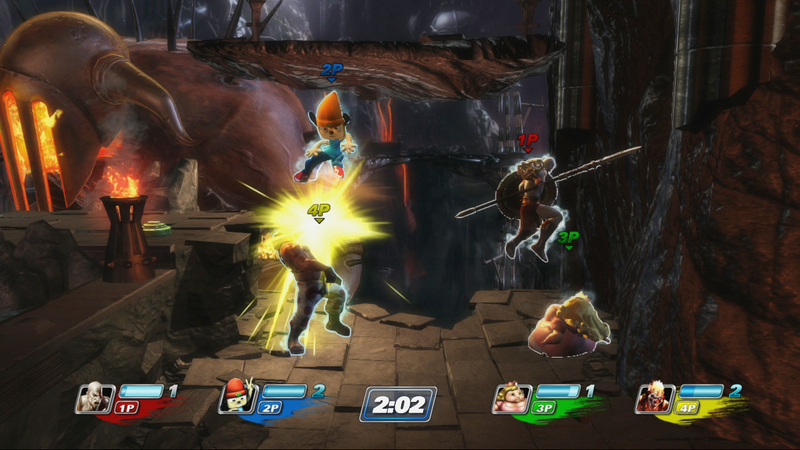 When Sly lands some of his attacks, he drains enemies' AP which is fundamental to winning PlayStation All-Stars Battle Royale. 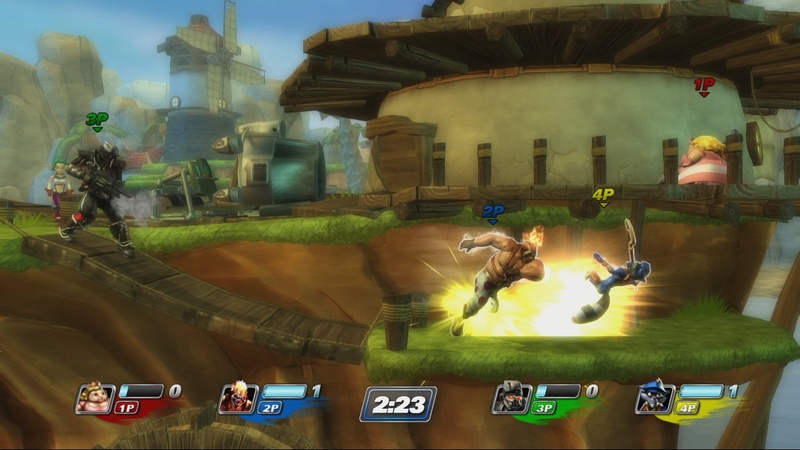 Unlike most other fighting games, PlayStation All-Stars doesn't rely on health bars or ring-outs. 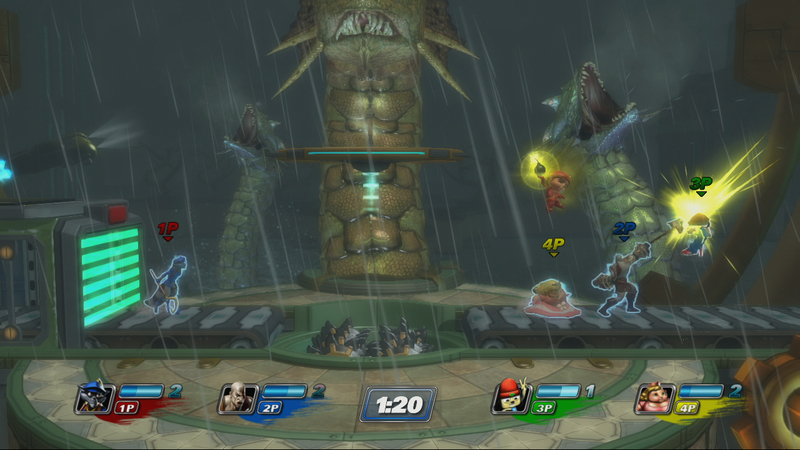 Instead, players build up an AP meter while fighting which can be charged to three states before being used to unleash the Special Attacks necessary for killing opponents. When players are primed to deliver their death blow, they'll start glowing and it's only a trigger pull before they're able to wreak devastation on anyone in their attack range. What makes this a fascinating mechanic is that it creates a risk vs. reward dynamic where players need to consider whether they're skilled enough to hit someone with the less powerful tier one attacks, or if they should hold off until they earn a screen-clearing tier three Special. It also changes the dynamic of combat from everyone focussing on weaker players looking to steal kills to focussing on navigating around or centering attacks on the strongest players to drain their AP before they can use it. It's a small change, and takes some getting used to, but it has incredible potential to make the game more accessible and promote a more positive feeling for all players - even the downtrodden. This new kill mechanic is the largest departure from the Super Smash Bros. formula, and depending on how you view the prospect of playing a very similar game, is either a blessing or a curse. 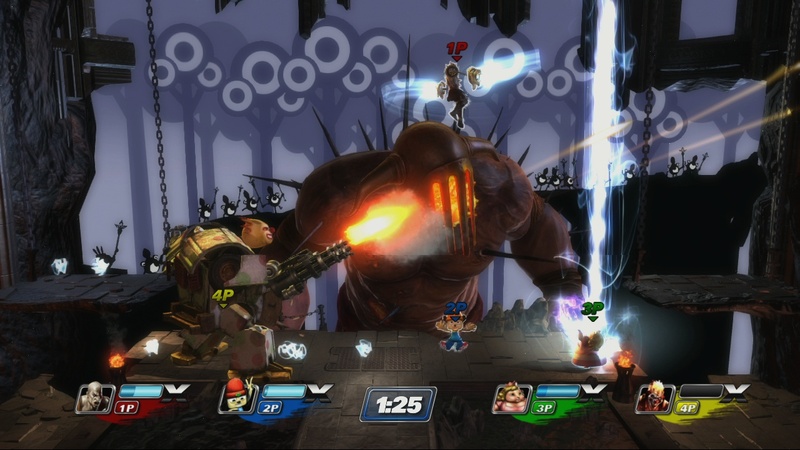 Comparisons between the two are undeniable, and it's clear that SuperBot approached the game with the intent to match Nintendo's creation as closely as possible. In almost all regards they've equalled Smash Bros. from a design perspective, but just swapped out the 8-bit nostalgia factor for a 32-bit variety. If you're looking for something different than what we've already seen from Nintendo, it's unlikely you'll find it here. More concerned with fan service than anything else, PlayStation All-Stars Battle Royale isn't going to break much new ground in terms of design. Calling it a clone wouldn't be entirely unfair, but simply providing an alternative in an underserved genre with characters and environments from across the rich PlayStation history might be enough to make the game worthwhile. It all comes down to how much the gaming audience really cares about these characters, and Sony trusts they do.